You couldn’t draw up a better example of a breaking news story that called for audience engagement to be at the center of news reporting. That’s in part because Tuesday’s earthquake – centered in Virginia but felt as far away as New Hampshire and Vermont – was experienced by close to 100 percent of our audience in Connecticut. So after the desks stopped shaking at the New Haven Register, Middletown Press, The Register Citizen in Torrington and Litchfield County Times in New Milford, editors and reporters turned first to Twitter, Facebook and YouTube, to gauge the extent of how the quake was felt locally and across the region, how it was disrupting workplaces, public safety operations and airline and rail travel, and the extent of damage, if any. Editors’ first step was to send out SMS text message alerts to readers’ mobile phones, confirming that what they just felt was, indeed, an earthquake – 5.8 on the Richter scale. A breaking news email alert followed. Simultaneously, Twitter was used to report the news, both with original information and a retweeting of reports from throughout the coverage area of readers’ reactions the quakes and institutions’ reports of evacuating buildings or halting events. Readers started chiming in via Facebook and story comments on our websites, and the most interesting and relevant information provided by the audience was incorporated into our main story. Editors set up a real-time feed of Twitter reactions with the hashtag “#earthquake.” It was an interesting thing to watch, as more than 40,000 Tweets were sent out about the earthquake within a minute of the first tremor. Then they used the curation tool Storify to collect local Twitter reactions and present them in story format. An editor at a sister publication in Pennsylvania even created an “earthquake humor” Storify of the best jokes to hit Twitter about the situation. 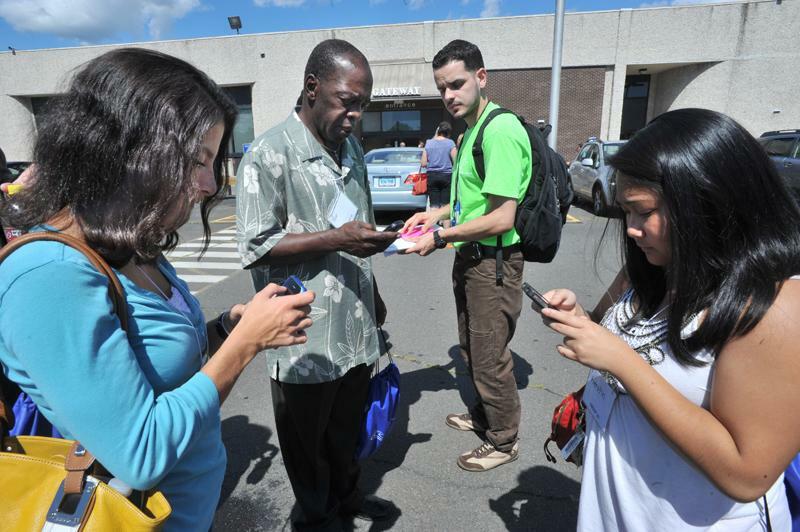 Flip camera-wielding beat reporters on assignment in downtown New Haven and reporters and photographers covering the New Haven Open pro women’s tennis tournament were submitting video within minutes of the quake. Sports writer Dan Nowak’s Flip camera video of the evacuation of the tennis stadium at Yale was picked up and used on the national NBC Nightly News with Brian Williams Tuesday evening. Early in the process, our sites linked to an “explainer” on why earthquakes happen in New England and how they’re different from West Coast quakes. But for Journal Register Company newsrooms in Connecticut on Tuesday, crowdsourcing and a digital first toolbox of equipment, technology and mindset spread news of the earthquake as fast and as effectively as any breaking news story, ever, in the history of our newspapers. That speed paid immediate dividends in audience growth. Because the weekly Litchfield County Times posted within seconds of confirmation of the earthquake, monthly unique visitors went from an average of about 100 an hour to nearly 1,000 after the news broke. 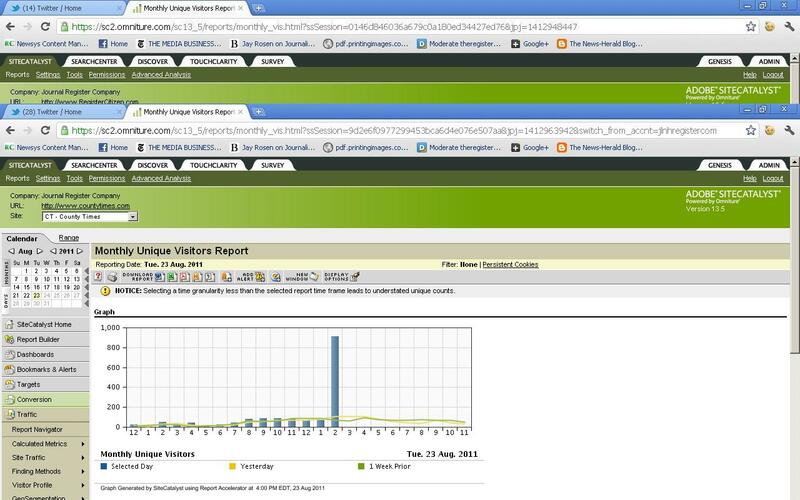 A high percentage of that traffic came from Yahoo and Google searches. Traffic on the daily sites tripled for the same reason, and the constant addition to and enrichment of earthquake content kept readers on the site throughout the afternoon. And the testament to how far we’ve come in embracing a “digital first” mindset is that this happened almost completely on its own … It was second nature for New Haven Register Managing Editor Mark Brackenbury, City Editor Helen Bennett Harvey and reporters and editors throughout the newsroom in New Haven, Torrington, New Milford, Middletown, both in news and sports. I certainly didn’t have anything to do with it. And no corporate deep thinker had to pick up the phone and suggest it. Our reporters and editors know how to use these tools now and when to use them. They are eager to get the audience involved. It’s part of the culture now. And Tuesday’s earthquake experience gives us the confidence to further embrace it as the new normal. It’s an exciting proposition. New Haven Register Sports Editor Sean Barker was presented with the first Dave Solomon Media Award Tuesday night at the New Haven Open at Yale. 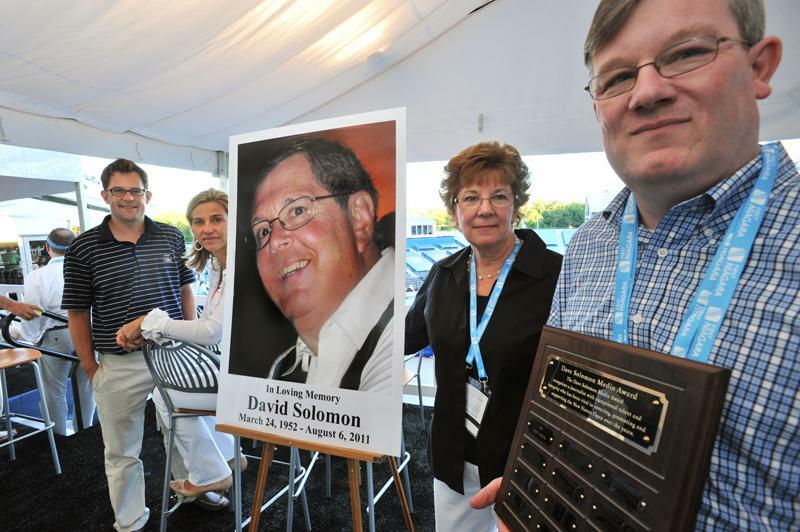 Solomon, a major presence at the tennis tournament, a 35-year employee of the New Haven Register and a prominent voice of Connecticut sports, was killed in a car accident on Aug. 6. Barker has covered the tournament since 1993, when he was a writer for the Connecticut Post. He joined the Register in 1999 and was named sports editor in 2006.